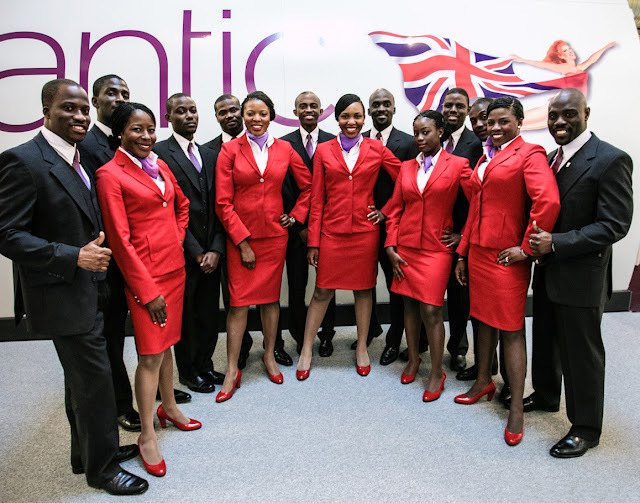 The 20 Nigerian cabin crew members recently laid off by Virgin Atlantic Airways Ltd, have instituted a N5billion suit against the Airline before the National Industrial Court sitting in Lagos. The Nigerian cabin crew, through their counsel, Chief Felix Fagbohungbe, SAN, are asking the court to restrain the airline from laying them off or giving effects to the notice of termination of employment served on them pending the hearing and determination of the suit. They are also want the court to suspend the notice of termination of employment served on them pending the hearing and determination of the substantive suit. They are further asking the court to direct the airline to pay them the sum of N5billion as damages for the act of discrimination against them. The 20 cabin crew, Genevieve Mordi, Umo Akinselure, Lukman Yusuf, Ekaete Victor-Iyamu, Victoria Enyi, George Ezemba, James Ajayi, Rosemary Ogbor, Babajide Akinyele, Remilekun Lashebikan, Yewande Salau, David Dagat, Babafemi Oshifeko, Babatunde Olamuye, Juliet Ezumba, Rachel Ideho, Ademola Olowolade, Imelda Blankson, Halimat Odeyemi and Tolumilade Sogbesan, are contending that they were all laid off on November 30, 2015, following an internal memo issued by the Executive Vice President, Customer, of the Airline, Jill Brady. In the memo, it was disclosed that the provision of cultural expertise which was the primary purpose of employing the claimants was no longer required by the Airline on its Lagos-London route. They further averred that no survey was ever conducted by the Airline which revealed that the cultural expertise provided by the claimants in respect of its Lagos-London route is no longer required. According to them, the Airline’s intention to terminate their employment was based solely on their race, colour and social extraction, even though the Lagos-London route was said to be the most commercially viable and most profitable route for the Airline.